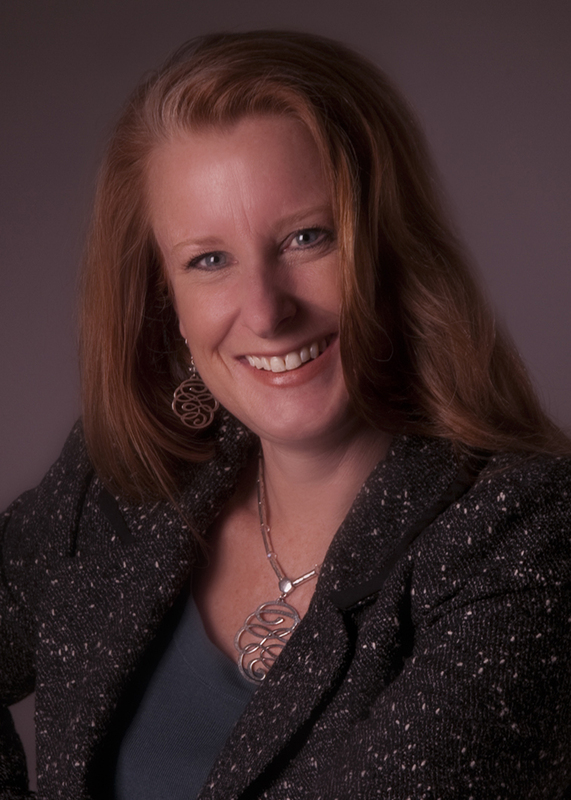 This is a guest post from Denise Starling, executive director of Livable Buckhead, the nonprofit organization spearheading PATH400 in partnership with BCID and PATH Foundation. 13,200 feet and counting! Just three years after breaking ground, PATH400 is already halfway complete. It’s no small accomplishment to have finished that much of this ambitious project in such a short time, and it’s the direct result of great partnerships. The collective vision and work of more than 30 organizations, businesses and governmental entities is helping to further enhance Buckhead’s standing as Atlanta’s premier commercial and residential district. 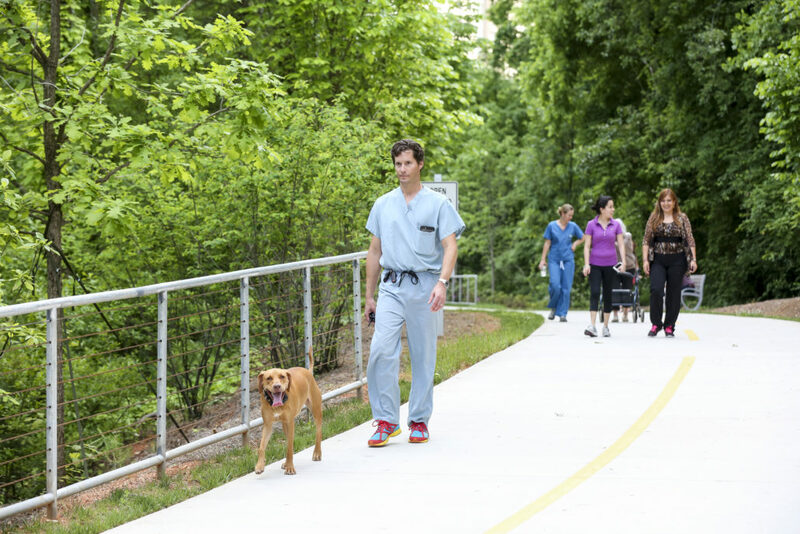 People who live and work in Buckhead are enjoying the 2.5 miles of finished trail every day, and if you’ve been on PATH400 you’ve seen them — walking dogs, jogging, pushing strollers, and spending time with friends. (If you haven’t been on PATH400, why not?! Get out there and give it go, it’s a fabulous amenity!) It’s clear that this project is already delivering many of its promised benefits, and we’ll see even more as we move foot-by-foot toward completion of the full 5.2-mile greenway. The northern end of the trail between the Buckhead Loop and Wieuca Road is where we’ve made the most progress. 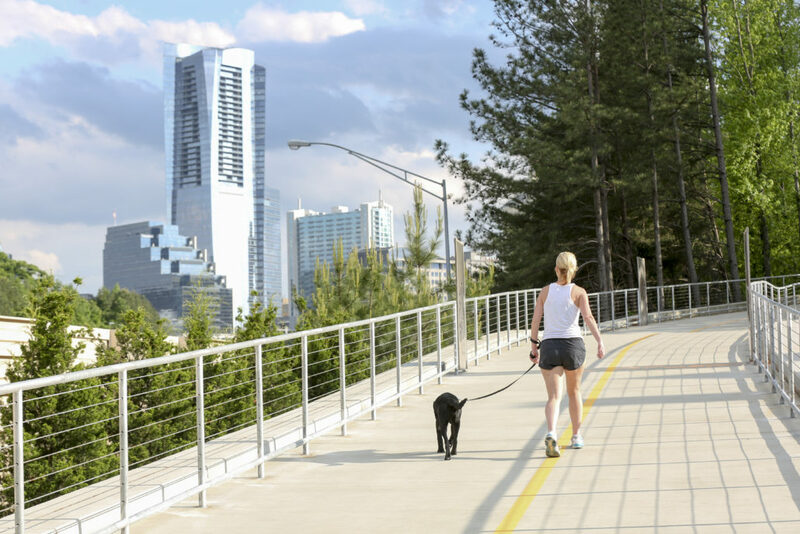 This mile of paved trail weaves in and out of peaceful wooded areas and offers dramatic vistas of the Buckhead skyline. One segment of the trail includes large panels where local artists have created chalk murals, and which will be home to permanent art installations in the future. Ground has been cleared and designs created for a future park where PATH400 crosses Old Ivy Rd., and a small number of on-street parking spaces have already been created under the nearby overpass. And north Buckhead school children now have a safer walking route to Sarah Smith’s intermediate campus now that we have extended PATH400 across the Wieuca Rd. Bridge over GA 400. We’ve made great headway up north, but there’s plenty of progress to see on the southern end of the greenway as well. Just last month a group of volunteers installed raised planter beds for a community garden to be tended by the residents of the Atlanta Housing Authority’s Marian Road high-rise. The residents had been doing some “guerilla gardening” before PATH400 came to the neighborhood, so we decided to put their talents to use and add a unique feature to the trail. You should take a walk on this segment of the trail – it runs between Miami Circle and Sidney Marcus Boulevard – and check out the unique planter boxes, crafted from reclaimed wood, that spell out PATH400. While we’re proud of our progress, we are focused on maintaining momentum. The goal is to have at least one segment under construction at all times until the entire project is complete. Right now we’re at work on a phase that will offer great pedestrian connectivity when it’s finished – the segment running between Miami Circle and the Gordon Bynum pedestrian bridge that leads to Lenox Square. Maintaining momentum depends largely on funding. As you probably know, Livable Buckhead is leading the fundraising effort to raise $5.6 million needed to complete the remaining two miles of construction in 2018. Please spread the word – every donation brings us closer and helps show grant makers and corporate partners that the community supports this project! You can find out more about the campaign on our website – livablebuckhead.org/capitalcampaign. 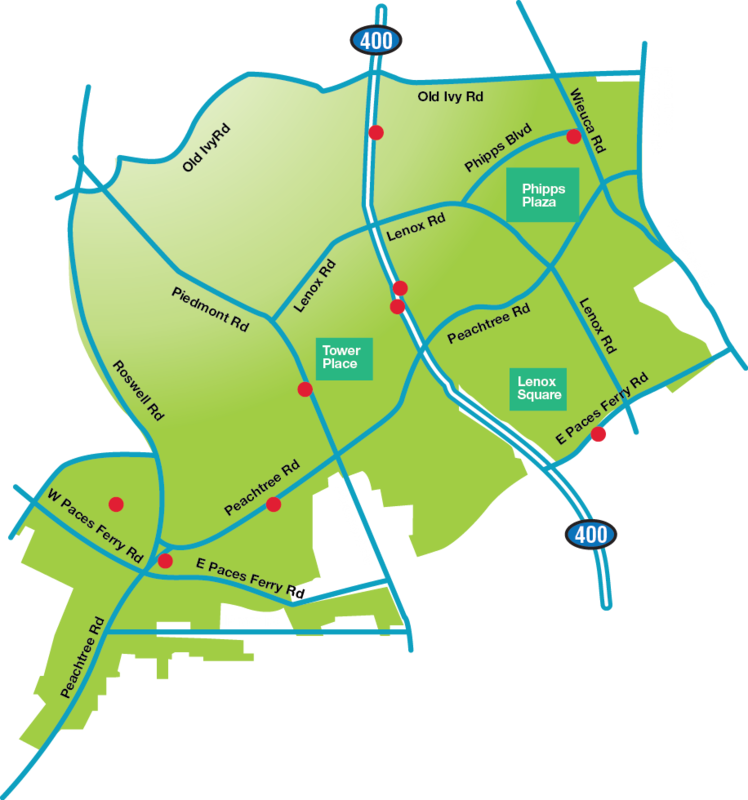 And for the latest PATH400 news, be sure to check out the project’s website, path400greenway.org.